Indie Retro News: Dungeon Kingdom - Enjoyable Dungeon Crawler gets a highly requested feature added! Dungeon Kingdom - Enjoyable Dungeon Crawler gets a highly requested feature added! Although we do gaming write ups, we tend not to mention every single update that happens to games while they are in Early Access. A game during that stage of feedback development, can be a completely different beast to when they are first mentioned, plus it's hugely time consuming. But when it comes to Hydro Games dungeon crawler of ' Dungeon Kingdom ', of which we did an early preview. Not only is it an enjoyable experience to play so far, but the developers have today announced a number of features added to the game, with one of them being a highly requested Auto-map! Yes indeed, one of my personal requests which was putting me off right from the beginning of development has finally be added. 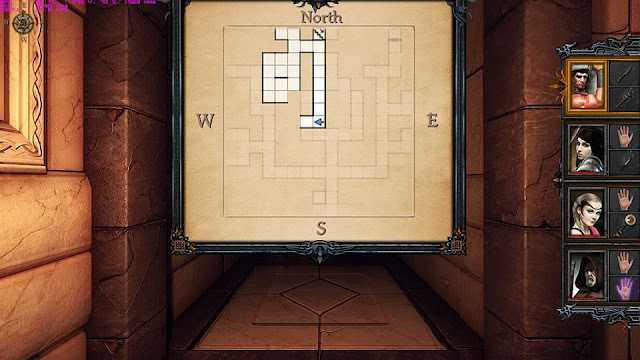 You can now traverse the dungeon levels, while keeping track of your every move and unexplored area, with a damn fine Automapping system, just by clicking the compass at the top left of the screen. Those of you who remember the AGA edition of Eye of the Beholder, will really feel at home with this feature. But that's not all that's been added to this gorgeous looking grid based, exploration and loot finding crawler, as the developer has also announced a number of other additions, which are listed below! -Totally rewritten mouse ergonomic. Say good bye to dungeon Master mouse scheme and hybrid drag and drop: now you have to play the same way as in Eye of the Beholder (and so Grimrock). - Added Quick Menu (Open it by clicking on the button at top middle of the screen) to sleep, go to intermediate menu or open Adventure book. 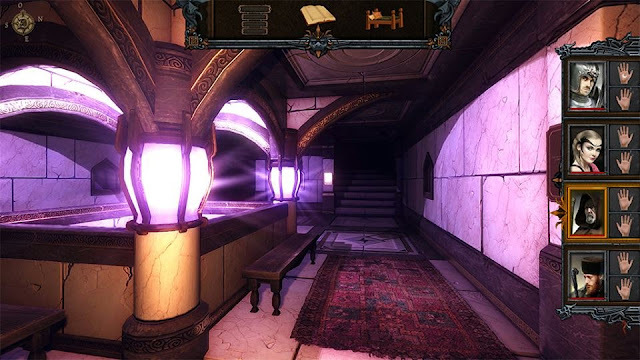 - Added Adventure book: simply read a book of scroll (including spell) and you can read it anytime from the adventure book. - Added Compass. Click on compass to open the local automap. - Added Help menu from the intermediate in game menu, to display mouse usage informations and keyboard shortcuts. - Added "Help/Hints" help from heroes (check the option when starting a new game. Previously created game will get the option automatically in Apprentice and Jouerneyman modes. - Fixed creature walking on tiles that are already full. - Fixed broken walls fragments to prevent player to move away or walk on them. Important Notes: Russian, Spanish and German versions are not yet fully updated with the latests content (especially tutorial does not reflect recent ergonomy changes). Temple chapter is now powered by a different system for reflections on walls. If you get important performance cut, please let them know.